This week we bring you the twentyfifth installment of Alden McWilliams’ illustrated tribute to the pioneer fliers of the early days of aviation. He called it “They Had What it Takes” and this one appeared in the February 1939 Flying Aces and featured Assen Jordanoff, competant and versitile flyer, noted inventor, aviation author and the pride of Bulgaria. In the late thirties Flying Aces ran Alden McWilliams’ monthly illustrated tribute to the pioneer fliers of the early days of aviation which was called “They Had What it Takes”. In the January 1939 issue they featured Jacqueline “Jackie” Cochran, a pioneering American aviator who was considered to be one of the most gifted racing pilots of her time. 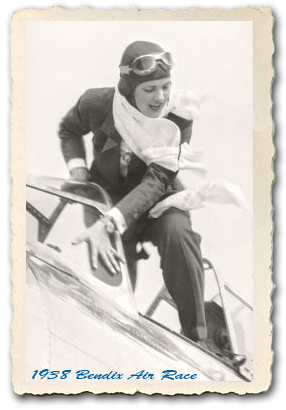 Originally working in the cosmetics industry, her husband encouraged her to take up flying as a means to travel more efficiently, Jackie took to it like a duck takes to water and soon realized that flying was her passion, not cosmetics. A few career highlights beyond McWilliam’s piece: in 1942 Jackie was asked to organize the Women’s Flying Training Detatchment (WFTD) to train women to handle basic military flight support; the following year she was appointed to lead the Women’s Airforce Service Pilots (WASP); in 1953 she became the first woman to break the sound barrier, and set eight more speed records in 1967 when she was over 60 years old! Jackie kept going until a serious cardiac condition finally grounded her. By the time of her death in 1980, Jackie had recieved more than 200 awards and trophies and set more speed and altitude records than any other pilot. Alden McWilliams’ “They Had What it Takes” was a series of illustrated tributes to the pioneer fliers of the early days of aviation that ran in Flying Aces from 1937 through 1940. 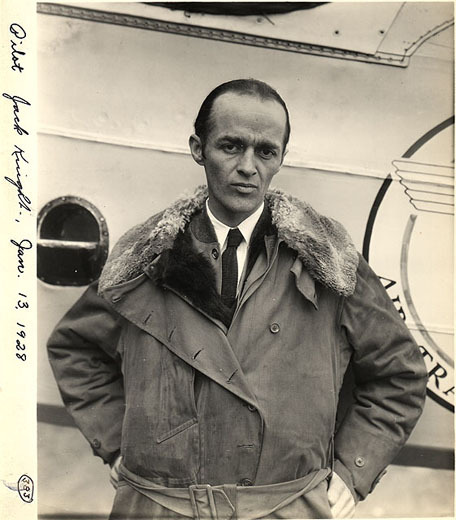 Part XXIII features the aviation life of the “Australian Lone Eagle”—pioneer aviator and inventor, Herbert John Louis Hinkler. 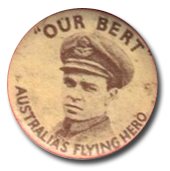 Bert Hinkler, as he was better known, designed and built early aircraft and was the first person to fly solo from England to Australia in 1928 and solo across the southern Atlantic Ocean in 1931. Hinkler started out in Canada and flew to New York then non-stop to Jamaica; on to Venezuela, Guyana and Brazil then across the Southern Atalntic Ocean to Africa! For anyone who’s seen a number of G-8 and his Battle Aces covers, then you know Frederick Blakeslee was not as adept at rendering the human form as he was machinery. Trained as a draftsman and with his work at the Curtiss-Sperry Company, Blakeslee excelled in the minutia of areoplane design. And no where was this more evident than in the beautiful and dynamic covers he painted for Popular Publication’s air war anthology series: Battle Aces, Battle Birds and Dare-Devil Aces. The covers were never reflective of the stories within, but Blakeslee usually supplied a brief write-up of the events behind his monthly cover spectacular! This time we have his twelve covers for the year of 1938 joining those already posted from 1932 through 1937 in our Dare-Devil Aces Cover Gallery! The July and November covers include a bonus of planes battling over a train yard–Blakeslee loved to paint trains as well, providing many covers for Popular’s Railroad Magazine. Alden McWilliams’ They Had What it Takes was a series of illustrated tributes to the pioneer fliers of the early days of aviation that ran in Flying Aces from 1937 through 1940. In the October 1938 issue, McWilliams rendered the air career of James H. “Jack” Knight, best known as an early pioneer of the US Air Mail. He signed on to the Air Mail service in 1919 often flying treacherous legs like the aptly titled “Hell Stretch” from Cleveland to New York over the Alleghenies. 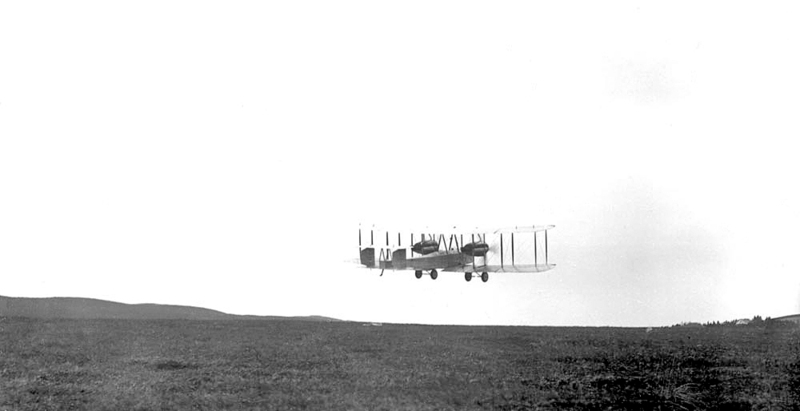 Flights like that prepared him to take part in the first night runs for that service in 1921. He eventually moved on from transporting the mail to transporting people with United Air Lines in 1927 and moved on to help out the war effort until he contracted malaria in South America while trying to find new ways of harvesting rubber and transporting it back to America and died in 1945.